Headache is usually one of the problems that occur. Sometimes there are obvious reasons for headache, but sometimes the reasons are unclear. It starts to feel pain in any part of the head. Often this is temporary which will recover automatically after some time. But sometimes it hurts a lot and it can continue for a long time. Headache can occur on one or both sides of the head. It can start from one point in the head and spread across the head or it may even happen in one place. This pain can appear as a pain in the head or as a pain in the head. Headaches can be produced gradually or suddenly. 90% of all headaches are affected by primary headaches. Primary headache usually begins for the first time when people are 20 to 40 years old. The most common types of primary headaches are stress and migraine caused by stress. Migraine is a type of headache that usually occurs only in one part of the head. 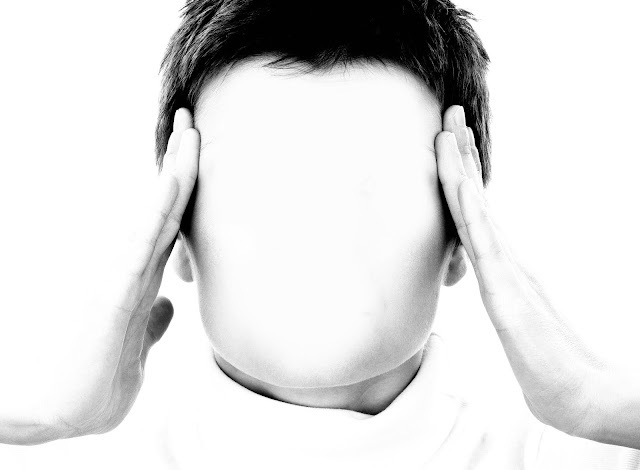 Migraines usually occur with photophobia (sensitivity to the light) and phonophobia (sensitivity to sound). Generally migraine occurs due to changes in chemical activity in the brain. Secondary headaches occur when many types of diseases stimulate the pain-sensitive nerves of our head Does. These diseases can be of several types, such as hangover, brain tumor, blood clots, brain freeze, eye disease, influenza, toothache. 1. Headache due to burning or injury in the pain-sensitive structures present in the head. The structures which can feel pain include the skull, forehead, upper head of the head, neck and head muscles, head arteries and nerves, sinuses and tissues surrounding the brain. 2. The incidents that start with mild headache are widespread among those who are suffering from headache. Each person has its own pattern.Primary headache is a disease that occurs automatically, due to excessive hyperactivity or problems in the pain-sensitive structures present in the head. It includes blood vessels, muscles, head and neck veins. Primary headaches can also be due to changes in chemical activity in the brain. 3. The most common type of headache is the headache caused by stress. Stress related headaches are due to tightening of your shoulders, neck, scalp and jaw muscles. These headaches are often related to stress, depression or anxiety. You are more likely to have stress-related headaches if you do too much work, not enough sleep, irregularity in food or consumption of alcohol. Most people can feel better by making changes in lifestyle, by giving adequate rest to the body and taking painkillers. 4. Many medicines created to get rid of pain can actually cause headache, when medication is stopped after a long time use. Increase in the amount of alcohol, caffeine and sugar, headache can cause serious problems. For all the headaches no need to go to the doctor, but sometimes the headache warns of a serious disorder. If you have a severe headache, tell your doctor. If there is headache after shock in your head or if you have acne, fever, confusion, unconsciousness or pain in the neck with headache, then get treatment immediately. The most common methods of treating headache are immense medicines of relief and pain relief. Common pain relief medicines can be purchased easily from any medical store or doctors can advise preventive medicines, it is important to follow the doctor's advice, because excessive use of pain relief medicines can cause headache again. . Treatment of rebound headache involves reducing or stopping the dose of painkillers. Self-care can also be done to relieve headache. Several steps can be taken to reduce the risk of headache and pain - to keep your head or neck from the ice bag or hot water bag, but avoid excessive temperature. As far as possible, avoid stress. Make plans to overcome stress. Eat regular meals. Try to keep the amount of sugar in the blood steady. A warm water shower can help in the headache, although hot water shavings can help in some rare situations, although warm water can increase headache in some rare cases. Exercising regularly and with sufficient rest and regular sleep reduction in stress and the person remains healthy. There are several alternative treatments available for alternative treatment of headache, but it is important to consult a doctor before making any major changes or starting any treatment option.